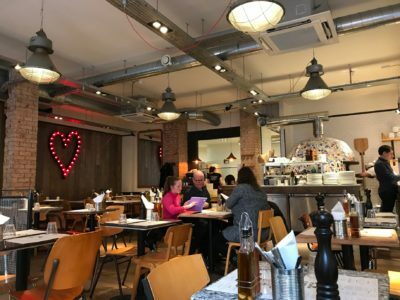 On a cold drizzly day, we were drawn in by the warm glow of the Franco Manca Italian restaurant. We were quickly escorted to our table close to a large set of windows, which allowed us to see the bustling street outside. The interior of the restaurant was spacious and simple. We were presented with our menus and both opted for the cheapest pizza, the “1” containing the simple blend of “tomato, garlic and oregano”. For just £4.95, we were both apprehensive as to what quality the pizza would be. The rest of the menu offered more complex dishes. We also ordered a side of “pizza bread with rosemary and sea salt”. Whilst we waited, we ordered organic lemonade which was tantalisingly tangy. The pizza bread arrived first and was delicious. Soon after, the pizzas themselves arrived. They were much bigger than we could have hoped and tasted incredible. Although they were free from cheese and other toppings, they were seasoned and tasty. They were filling, even without the cheese, and we probably didn’t even need the pizza bread. The staff were friendly yet non-intrusive. Service was quick and we only had to wait about 10 minutes for the starter to arrive. The inclusion of an open kitchen meant that we could see the progress of our meal: had sat closer then we would have been able to see every move of the chef. 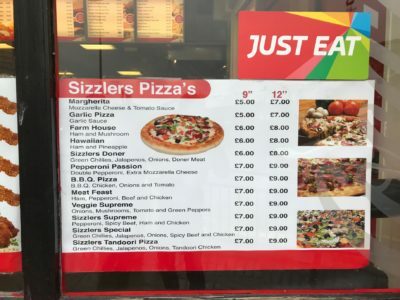 Having left the restaurant, we passed the legendary row of takeaways containing BC Burger Chicken Diner and Sizzlers where we noticed that a takeaway Margherita pizza was the same price as our pizza in Franco Manca – reinforcing its great value. 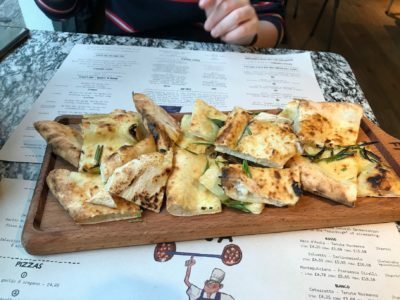 In conclusion, we highly recommend Franco Manca. Not just for its excellent atmosphere and food but also its amazing value for money. 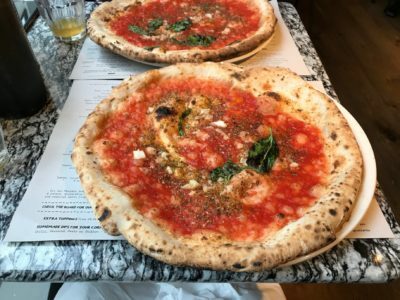 Franco Manca is unrivalled in the Bristol pizza scene and is amongst the best pizza I have ever had.